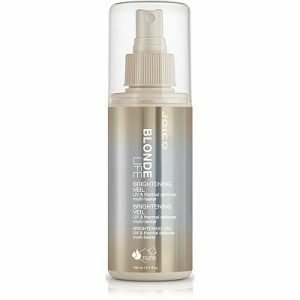 A multi-tasking leave-in wonder product that treats vulnerable blonde locks and protects them from mechanical, thermal and UV damage for beautifully brilliant, healthy-looking blondes that shine. – Shields hair from UVA/UVB rays protecting hair colour against damage and fading due to exposure. – Provides protection from thermal styling up to 450° F (232° C). – Makes hair more manageable and leaves it soft to the touch.